My name is Thyda. I am Ekata’s roommate. Ek is one of my dearest friends and since I live with her, I see how she’s affected every day. This is what I see: She’s disciplined herself to follow a balanced diet, which limits sugar and includes raw foods, fruit, and various supplements that have been suggested to help control blood cancer. She’s very consumed in community service activities, such as organizing fundraising events and volunteering with Children’s Cancer and Blood Foundation. She spends a lot of time protecting and assuring her family and friends that she’s feeling ok even though she can’t ever be 100%. She takes regular blood tests tracking progress of the cancer cell mutations, and anxiously awaits the results each time because she’s nervous about how it will affect her loving family. You’re probably picking up on a common theme in how she spends her time and thoughts – which is largely putting others ahead of herself. Even the things she does to take care of herself to prolong her life are not necessarily so that she can feel she lived a full life, but so that she can continue to be strong for her family and friends and to help #BeatTheOdds for the bone marrow registry. Ek’s strength, enormous heart and selflessness inspire me, and simply knowing her makes me stronger. While I am not South Asian, those who know me sometimes think that I act like I am, and in this case where it really counts – to be a possible bone marrow match for Ek – I can’t pretend. But that doesn’t mean I can’t help, or anyone else who isn’t South Asian can’t help. We can all help to spread the word and reach deep into our South Asian networks. As Ek so clearly yet humbly conveys (#mystory), this is about more than finding her a match. This is a call to action to educate people about the importance of increasing the commitment to the South Asian and worldwide bone marrow registry, to give others in a similar situation a #afightingchance. Minorities including South Asians are particularly under-represented in the registry, which makes it more difficult to identify a match and save lives. Knowing that, with all of us pulling together to register and/or spread the word, Ek will live to see the bone marrow registry statistics improve substantially in favor of every South Asian and minority living with blood cancer’s life – makes me stronger. 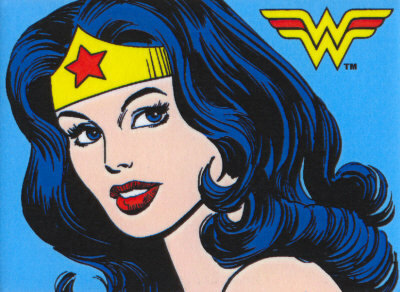 Ek is definitely Wonder Woman, but we can all be superheroes too. Help spread the word! This entry was posted on December 13, 2012 by chhomthyda in Story.